I am associate professor in the department of Modern Languages and Literatures and English Studies in University of Barcelona (UB), Spain, and currently coordinating the ﻿PhD in Applied Linguistics at UB. My research has examined the role of contextual and individual factors in the development of L2 speech and oral fluency, and the acquisition of L2 phonology. I am a member of the GRAL research group currently investigating the effects of age, proficiency and cognitive differences in in- and out-of-school exposure, with a focus on undubbed subtitled videos, on the acquisition of English as a foreign language. My current research interests focus on the role of input in bilingual phonological acquisition and the effect of individual differences in cognitive ability on L2 speech learning. My interests also include phonetic training methods, the teaching of English pronunciation to Spanish/Catalan learners of English, and the development of L2 phonological awareness in SLA. You can find out more about my research by accessing my webpage here. 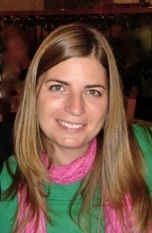 I am a teacher and a PhD candidate in Applied Linguistics at the University of Barcelona (UB). I have been teaching English Phonetics and Phonology to Catalan-Spanish speakers at UB since 2009, and I worked as a pre-doctoral full-time researcher from 2004 to 2008. The title of my dissertation is “Effects of audiovisual auditory vs. articulatory training on the perception and production of Second Language Vowels”, and it is supervised by Dr. Joan C. Mora (UB). The design of the training experiment was also guided by Dr. Paul Iverson and Dr. Valerie Hazan during my four-month stay at the Speech & Hearing Research department from University College of London (UCL) in 2008. My work aims at comparing the effects of different phonetic training methods on L2 vowel perception and production, and seeks to make a contribution to EFL teaching practices in the Catalan-Spanish FI context. Results from this research have been presented at several international conferences and appear in several publications. My current research focuses on the effects of perception and production visual training on learners’ L2 speech learning. 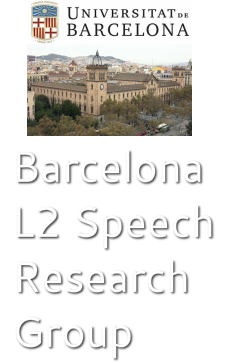 Other research interests include the acquisition of English vowels by native speakers of Catalan/Spanish and individual factors in L2 speech perception and production, such as phonological short-term memory. I studied at the University of Oviedo, where I obtained my degree in English Philology. Since the year 2008 I have been a pre-doctoral researcher at the Universitat Pompeu Fabra (UPF) in Barcelona, Spain, within the Department of Translation and Language Sciences. I have conducted my PhD dissertation on the acquisition of L2 phonology by English foreign language learners within the Department’s Quality Applied Linguistics programme. My research focuses on how language learning context impacts the acquisition of an L2 phonological system, by looking specifically into the effects of formal instruction and study abroad. Results from this research have been presented at several international forums, and appear also in several publications. I did my BA in Physics at the Universitat de Barcelona (UB, 2009). I am currently studying English Studies also at UB. I have assisted in language revision in scientific papers in Physics and Molecular Biology. I am interested in anything having to do with English Phonetics, Shakespeare plays, French language and US History. I am a teacher and researcher at the University of Barcelona. I teach English phonetics and phonology levels 1 and 2, and I am a member of the GRAL research group (www.ubgral.com). I have an MA in Applied Linguistics and Acquisition of Languages in Multilingual Contexts from the University of Barcelona. I am currently doing my PhD thesis, Phonological short-term and L2 vowel cue-weighting, supervised by Dr. Joan C. Mora. My work aims at designing reliable tests of PSTM with bilingual populations and investigating the possible relationship between this cognitive ability and learners’ perception of English vowel contrasts in a native-like manner. Other research interests include individual factors that might influence L2 speech perception and production, such as acoustic memory, attention control, age of L2 learning onset, L2 input quality and L2 experience among others. I am a PhD student in Applied Linguistics at the University of Barcelona working under the supervision of Dr. Joan Carles Mora and Dr. Roger Gilabert. I hold an MA in Applied Linguistics and Language Acquisition in Multilingual Contexts from the UB (2016), and an MA in Foreign Languages and Literatures from the University of Milan (2018). During my postgraduate studies, I have conducted research in lower-secondary schools investigating L2 vocabulary acquisition with multimodal input and the use of form-focused production tasks. My current research focuses on L2 input-enhancement and task design in pronunciation teaching. I explore second language phonological/phonetic acquisition. My focus is interlanguage development: I am trying to explain and predict the relative difficulty learners might have when they learn foreign sounds. Before moving to Barcelona, I studied the Slavic philology in Russia (BA), applied linguistics in the USA (MA), and psycholinguistics in the UK (MSc). For several years I have taught my native Russian at the Defence Language Institute and the Middlebury Institute of Internation Studies in California, USA. My current research interests concern L2 phonological acquisition and individual differences. I am a PhD student in the Applied Linguistics doctoral program at the University of Barcelona working with Dr. Joan C. Mora. I received my BA in Linguistics from the University of North Carolina at Greensboro (USA) with a minor in Spanish. I went on to receive a MSc in Neuroscience from the University of Barcelona. My master's thesis, entitled Age of acquisition, proficiency, and first language transfer effects on online, non-native processing: an ERP study of Spanish-Basque bilinguals, was supervised by Núria Sebastián Gallés under the tutelage of Begoña Díaz at the Center for Brain and Cognition in the Speech Acquisition and Perception group at the Universitat Pompeu Fabra. I stayed on with the SAP group as a research assistant from October 2014 to July 2015 researching good and poor perceivers of a Catalan contrast not found in Spanish with a Spanish-Catalan bilingual population. For my PhD thesis, I intend to study what makes L2 learners either good or poor by investigating how individual differences interact with different phonological training programs. If you are a "poor learner," are you lost or is there a better way for you to learn a second language? I hope to discover possible methods for application in the real world classroom. My interests include the relationship between L2 perception and production, categorical perception of speech, the creation of new phonological categories, individual differences in L2 learners, polyglottism, bilingualism, and different brain imaging techniques, such as EEG, fMRI, and brain oscillations with regards to second language acquisiton. 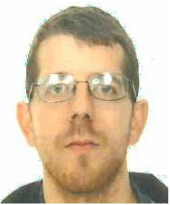 I am a Ph.D. candidate and lecturer in the department of Modern Languages and Literatures and English Studies at the University of Barcelona (UB). I hold a BA in English studies (2016) and an MA in Applied Linguistics and Language Acquisition in Multilingual Contexts (2017) from the UB. My current research interests are the teaching of English pronunciation to Catalan/Spanish learners and the role of individual differences in L2 proficiency and cognitive attention control (i.e. auditory selective attention, auditory inhibition and attention switching). At the moment, I am conducting research on the role of cognitive attention control during high-variability phonetic training and the integration of pronunciation instruction in task-based language teaching (TBLT). My Ph.D. thesis, which is supervised by Dr Joan Carles Mora (UB) and Dr Roger Gilabert (UB), explores the design of pronunciation-essential tasks to orient learners’ attention to difficult phonetic forms in communicatively authentic contexts. In addition, I am a member of the Recercaixa project “Habilitats orals per a les professions del futur: un programa d'intervenció en el currículum de secundària i batxillerat a Catalunya” (2017ACUP0249) which deals with the teaching of oral abilities in L1 Catalan and L2 English in the context of secondary schools in Catalonia. My work has been presented in international conferences such as TBLT, PSLLT and EuroSLA. I hold an MA degree in applied linguistics from the University of Barcelona. I am currently teaching in the department of modern languages in the University of Girona. My area of interest is English phonetics and phonology and particularly perception and production of English sounds by non-native speakers of English. I also work in the field of English-Arabic translation. I hold an MA degree in Applied Linguistics from the University of Barcelona where I am currently doing my PhD. My dissertation, Individual Differences in Cognitive Ability and Cross-Language Phonetic Similarity, supervised by Dr. Joan Carles Mora (UB), investigates the contribution of individual cognitive skills such as phonological attention control, acoustic and phonological Memory to cross-language speech perception and the development of L2 vowel categories. Among my research interests are L2 phonological acquisition, native listeners’ perception of L2 accented speech and psycholinguistics. I am a PhD candidate in the University of Barcelona's Applied Linguistics program and work under the supervision of Dr. Joan Carles Mora and Dr. Raquel Serrano. I completed my MSc in Applied Linguistics and Second Language Acquisition at the University of Oxford (2013), where I investigated speaking fluency development for L2 learners of French on short, intensive study abroad programs in France. I also hold a Postgraduate Certificate in Teaching ESL from McGill University (2011) and a BCom from the University of Alberta in Canada (2007). My current research focuses on individual differences in the development of L2 oral fluency and inhibitory control in the study abroad context for L1 English learners of Spanish. I hold a PhD in Multilingual Communication from the Universitat Pompeu Fabra. The thesis was on ‘The Development of Oral Fluency and Rhythm during a Study Abroad Period’. I worked as a pre-doctoral full-time researcher and teaching assistant at the Universitat Pompeu Fabra while writing the dissertation and then as an adjunct professor at the Universitat de Barcelona. I am currently living in Munich, Germany and conducting research on the acquisition of rhythm by foreign language learners of different L1 backgrounds, focusing on both linguistic and cognitive factors. I am also interested in the acquisition of L2 phonetics and phonology in different learning contexts, phonetic training methods, speech disorders, and the teaching of pronunciation to non-native speakers.